Patrick Ondrey is an internationally recognized author and speaker, encouraging audiences to fulfill their dreams. His message challenges the hearer to reach beyond the norm. Because of his years of experience in business, Patrick is a sought after speaker to business leaders across the world. He has been the key-note speaker to business leaders, conferences and churches in more than 42 countries and hundreds of cities. He has served as a Chief Financial Officer, International Director of Finance and Administration, and other senior management positions with large national and multinational corporations. He has also owned his own successful office services and management consulting business. Patrick now serves as Senior Pastor of The Winner’s Circle Church in Houston, Texas. He’s the President of Patrick Ondrey International, and serves on the Board of Directors of several corporations and nonprofit organizations throughout the world. Patrick has authored many best-selling books including: You’re More Than You Think You Are, Rapid Debt Reduction Strategies, The Victory Book, and The Master Plan. Even with a busy travel schedule, Patrick maintains a very close and quality relationship with his entire family, and resides in Houston, Texas. Olga Pougatch was elected to Love Little Children’s Board of Directors in October 2004. Olga is the Manager of Love Little Children, Inc., a non-profit organization founded in Sacramento, California in 2002. Love Little Children is committed to feed healthy meals to over 3,000 low income children, daily. Olga has an extensive musical background. She studied classical music for twelve years and has been involved in several music projects to include: producing one children’s album, producing two live music projects, recording a total of six albums and traveling overseas for concert tours to Finland, St. Petersburg, Latvia and Estonia. Olga is the Music Director of Christian Faith Church, Sacramento, California. A native of San Francisco, California, Olga attended San Francisco State University. Olga moved to Sacramento with her husband in March 1997. They have two beautiful daughters. Ren Endow has over 40 years experience as a CPA and advisor. He is known to have a track record of integrity and reliability. In 1992, Ren, together with his partner, founded Buckley and Endow, a Fair Oaks, CA, CPA firm. Ren has acquired a broad background in many fields including, independent contractors, professionals firms, trade services, restaurants and real estate owners. His focus is on small businesses and individuals primarily in the greater Sacramento Area including Fair Oaks, Carmichael, Orangevale, Citrus Heights, Folsom, Roseville, Auburn, Mather, Rancho Cordova, and El Dorado Hills. Ren earned his Bachelor’s degree in accounting from Sacramento State College. He is an active member of the California Society of Certified Public Accountants. He has been an active Capitol Lion for the past 25 years and has served as both a member of the Board of Directors and Chief Financial Officer of the Northern California Lions Sight Association, a 501(c)3 organization for 5 years. Ren has been a resident of Carmichael, CA for over 32 years. He and his wife Gayle have two children. Melissa became a Food Program Specialist at Love Little Children in August 2011. She was elected to Love Little Children’s Board of Directors in April 2015. Melissa is a native of Sacramento, CA. Melissa attended Sierra College for 3 years and achieved her AA degree in Social and Behavioral Sciences. In the summer of 2013, Melissa went to school and became a Certified Nursing Assistant. Melissa attended Sacramento State University to receive her BA degree in Nutrition. She is passionate about eating healthy, nutritious meals, being physically active, and teaching others to do the same. Melissa is happily married and resides in Sacramento, CA with her husband. Nadia Bobyk is the founder and Executive Director of Love Little Children. She came to the Unites States of America in 1991. 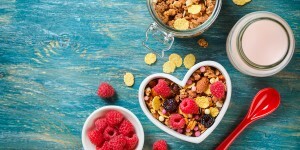 Being of Ukrainian descent, she saw that there was a great need to educate the many Ukrainian and Russian speaking Americans about nutrition and healthy eating habits in the home daycare setting. Nadia’s vision expanded beyond the confines of her own culture. She had a desire to create an organization that could meet the needs of the diverse population that California enjoys. Because of her vision, she was able to connect with others within the community who shared her desire to improve the lives of a diverse population of children and families by creating a service oriented non-profit organization that would encourage nutrition and education. As a result, Love Little Children came into existence in April 2003. Nadia is an Accounting graduate and has worked for non-profit agencies for the past thirteen years to include World Relief, Inc., Quality Food Program and Sacramento Lao Family, Inc. Nadia is married to Nick and the proud mother of 3 beautiful children. Linda Barnes is a native of Missouri. Linda attended Charles Mason Bible College from 1981 to 1982, Lincoln University in Jefferson City, MO in 1989, Pacific Coast Bible College from August 1997 to May 1999, Advantage Bible College from September 2003 to May 2005, and obtained her Bachelor of Arts Degree in Theology. She later attended Elijah House Ministry School where she completed courses for Ministry & Counseling. Linda is a conference speaker and teacher throughout the United States and abroad. She has served in Livorno, Italy and Sacramento, California; and has worked in many areas to help women across our nation. Linda is a paralegal for Sacramento County. She has a son whom she adores. They attend Christian Faith Church in Sacramento, California where she serves as the Director of Women of Virtue. Linda also serves on the Board of Directors for The Gathering of Eagles in Sacramento, California. Serge Koblik is a first-generation Ukrainian-American who immigrated to the United States of America in the summer of 1997. His parents were seeking educational opportunities for their children. Serge, together with his older siblings began learning the English language, culture and customs. After completing high school, Serge enrolled into college. In 2010, he earned his A.A. in Psychology and in the summer of 2011, he obtained his second A.A. degree in Christian Studies. By the summer of 2013, he received his B.A. in Ministerial Studies/Biblical Counseling from Epic Bible College and a B.A. in Psychology from CSU, Sacramento. Currently, Serge is pursuing a M.A. in School Psychology while serving as a Child Development Assistant at an after school program for a local elementary school. Serge also coordinates and teaches in the Teen Sunday School Program at the local church he attends. As a lifelong mental-health representative and child advocate, Serge has a passion and drive for education and for serving others, particularly those who can’t help themselves. In his free time, Serge likes to camp, fish, and hike outdoors with his wife and dog.